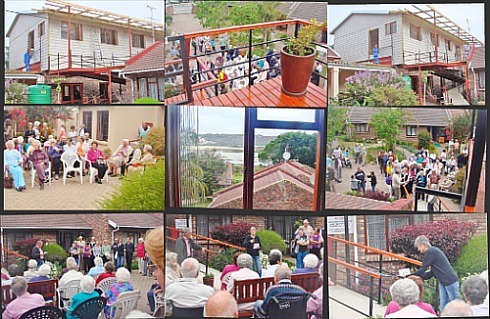 Sedgemeer Park Retirement Home as it is known today was originally built by JJW Muller, a magistrate from Oudtshoorn who retired to Sedgefield in 1928. 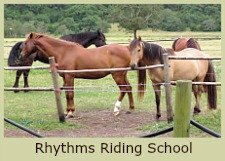 In retirement he started a school at Ruigtevlei and taught there for a number of years. In the early 50's he sold the house to the Watneys who bought it as an investment, but after her husband's death as a result of a brain tumor, Elaine moved into the house in town known then as Sandgate. 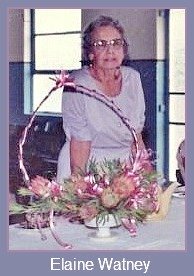 All her life in Sedgefield, Elaine was an active member of the community and besides her sizable contribution to the building of the public library, and the Sedgefield Community Church, her lasting legacy has been the Retirement Home. Fred and Nona Hawkins, Nellie Downes and Margaret Blakeway had been searching for a property to house and care for the elderly in Sedgefield when Elaine, then in her 80's, caught their vision and offered her house to them for a nominal price. 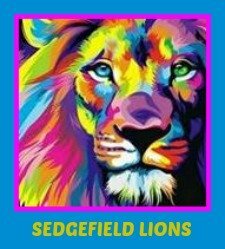 An Inaugural Meeting of the Sedgemeer Park Welfare Organisation for the Aged was held in the Community Church Hall on 19 September 1984. The steering committee was made up of Margaret Allen, Wally Bodmer, Fred Hawkins and Mike Loubser. During the next 4 years, the Town Clerk, Reg Basson and Mr and Mrs Wilfred Vowles advised and guided the committee through many legal aspects and foreseeable pitfalls so that by October 1988 the required authorisations were relatively easily accomplished for the newly fledged organisation. It had a Fund-raising number. The price of the Sandgate property to be purchased from her husband's estate had been negotiated with Mrs Watney. It had been given an exemption from Income Tax, Donations Tax and Estate Duty. It had been given the correct zoning. Nona and Fred Hawkins lived on the corner of Mossie and Flamingo streets. He was a retired Mathematics teacher and his wife, a retired English teacher. They were active Methodists and Fred was involved in the distribution of Gideon bibles. The Hawkins were in the fore-front of fund-raising in order to do the necessary upgrading of the electrical and plumbing aspects and house alterations that needed to be carried out to equip Sandgate for its new purpose. By Open Day 30 November 1989 the Sedgemeer Park Committee held their first meeting in the dining-room of the main house and announced that the property belonged entirely to the Sedgemeer Park Welfare Organisation of which its residents were also members. Arther and Norah Hewitt moved into a bedsitter in the main house. Initially Jannie and Rita Hers ran the Home and Jannie personally sponsored the building of the first individual units. His contribution prevented the home from being given back to Sedgefield and sold. Fred and Nona Hawkons then lovingly ran and administered the home. 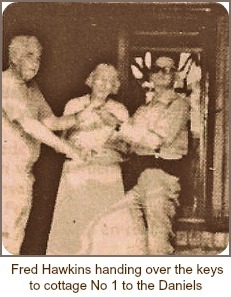 On Thursday 1 February 1990, Fred Hawkins handed over the keys of cottage No 1 to Mr and Mrs Robbie Daniels. The building of two more cottages was underway. "..the garden at the lagoon edge has been cleared and the old entrance to the house has been reinstated. The garden gate has been repaired and the old paved drive-way to the front stoep improved. A heavy growth of ivy which had darkened part of the beautiful wide verandah has been taken down and in time we hope to restore its to former beauty the front aspect of this gracious home." Grateful thanks were expressed to Rita Hers who supervised daily activities in the house such as the kitchen, diets, food purchases and staff concerns on a voluntary basis; Jan Hers who installed doors, fitted shelves, opened drains and supported Rita; Tom Berry who repaired the delapidated gate speedily; Arther Hewitt for professionally finishing off the painting of the sick room; AECI for supplying the paint; the Patchwork Guild for adopting the sick room and prettying it up; the Catholic ladies for help with collections and cake sales; Colin Halowell for a share of his horse manure sales; 2 wonderful Christian benefactors who supplied paint for the main house and a reclining chair for residents; Cherie and Alan Sindal who offered regular weekly trips to Knysna in their tour combi; Bob Kelly for his efficient work as Treasurer. 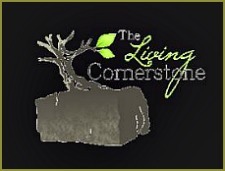 In 1993 the Sedgefield Christian Church with Pastor Noel Van Der Merwe at the helm took the home "under its wing". Pastor Noel had given spiritual support to the Sedgemeer's residents on almost a daily basis and various church members also helped in whatever way they could, and at one stage assisted with a loan to keep the home running. By then, the family house had 4 residents, one being Elaine Watney herself who had secured the right to live in the house for the rest of her life. It also housed the office and administrative section, a dining-room, lounge and cheerful sick-bay. The first 3 cottages were occupied and plans for more were on the way. Three qualified and experienced nursing sisters took care of the residents. However, as the ‘90’s progressed a shortage of funds prevented the complex from being further developed or maintained and sadly it was reduced to a drab and over-grown corner property, an eyesore, albeit in a prime residential spot. Like its elderly residents it limped along trying to age with dignity. Elaine passed away in 1996 at the age of 96. Anton and Rita Kruger who had retired to Sedgefield at the end of 1994, were part of the Sedgefield Christian Church congregation and leadership which is how they found themselves getting involved in the running of Sedgemeer Park. 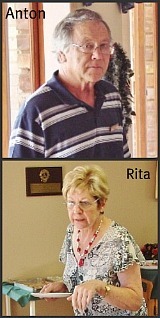 Rita was appointed Home Supervisor in October 1999, and Anton was elected Chairman of the Executive Committee in September 2000. This marked a turning point in the uncertain future of the retirement home. With vision and determination Anton and Rita, backed by the committee, built 14 new accommodation units and added a much-needed dining hall called “The Elaine Watney Hall”. Gradually the old house was renovated, the gardens redesigned and regularly tended. Paving was laid providing ample access and walkways around the house and units. 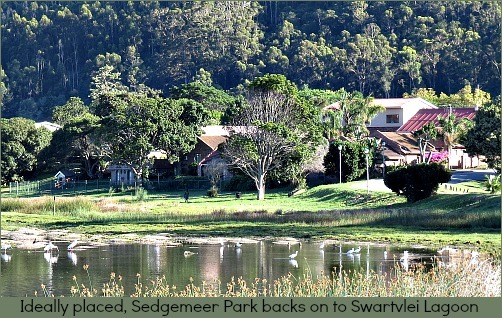 Sedgemeer Park became self-sufficient and thanks to careful management 28 residents were accommodated in 17 self-catering units and 8 rooms in the house. In present times the units are serviced and all the residents have their washing done in the on-site laundry. Anton and Rita have a small team of cooks (the food is fresh every day and delicious!) laundry assistants, cleaners and a gardener they supervise. The hub of Sedgemeer Park is the kitchen where all the meals are made. All residents are required to eat the main midday meal in the dining room to ensure they receive at least one good cooked meal a day. 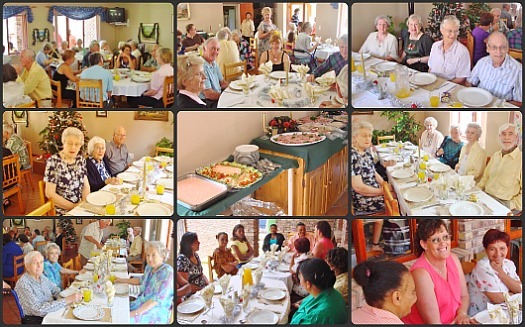 The large dining hall adequately copes with social activities like Bingo, Scrabble, weekly breathing and balance exercise classes, bible studies, a monthly communion service, special teas and other sundry events. There’s a comfortable TV lounge where morning and afternoon tea is served.A casual sitting room has a sizable table where puzzles and games can be enjoyed. The Christmas lunch is a special event much looked forward to by everyone. Family and friends can share in the festive occasion and a great deal of work and organisation goes into making it a success. All the staff get to share in and enjoy the wonderful spread. 25 years on, Sedgemeer Park is still the only retirement home that Sedgefield has and many folks requiring such a facility have had to move away from the village to be accommodated elsewhere. Nonetheless, at present there are over 200 names on the waiting list. To try and alleviate the growing need for elderly care, and after investigating many alternatives, the executive committee came up with the excellent idea of building above the dining hall. Local plans were drawn up by Nicholas Beech of Le Plan and in a short space of time approved by the Knysna Municipality in March 2010. The project was given to Hayward Construction and completed in October 2010. 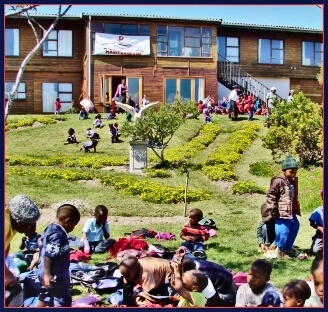 The centre was officially opened and blessed by Angie Pickard, minister of St Francis United Church at a ribbon cutting ceremony on 1 October. It will add a further 7 bed “care centre” to the existing house. It was no small feat to have accomplished this in the current cash-strapped economy and it was due to the contribution of many local donors and not least the creation of the 5000 Club by Anton that brought in a good part of the necessary funding. 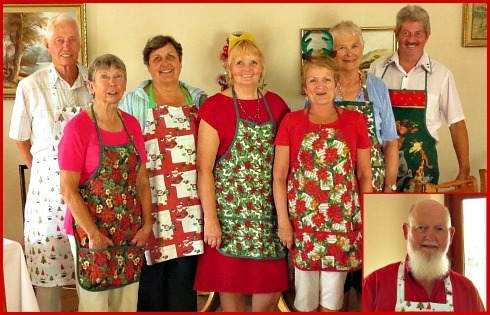 Sister Janet Pragnall, with her team of +/- 12 cheerful caregivers, energetically attend to all the nursing needs of the Sedgemeer Park residents. She controls and distributes everyone’s medication and her trained eye is alert to all her charges. From her office in the newly built upstairs Assisted Living unit she watches over the frailest who often require special attention. Since Sister Ingrid Kok moved to Somerset West, Sister Rosemary Cross now relieves Sister Janet. My Dad had been growing frail both mentally and physically and was among the first residents moved into the new Assisted Care unit where I visited him nearly every day until he passed away peacefully in June 2012. He was 90 years old. It is from personal experience that I can truthfully say that Sister Janet and her caregivers are dedicated to providing a caring and comfortable environment for everyone at Sedgemeer Park. Ideally situated at the corner of Flamingo and Kingfisher Drives, Sedgemeer Park is central to all of Sedgefield’s amenities. Elderly residents are able to walk to the shops, hairdressers, banks, dentists, doctors and pharmacy and enjoy strolls along the lagoon that is right on their doorstep. Several residents have lagoon views from their units. Sedgemeer Park has come of age as a retirement home of good repute. At the same time it is unique in that it still feels like a home and not an institution. On any given day you will observe cheerful smiles and witness happy laughter. Visitors can see their loved ones at any time and there’s no standing on ceremony or having to phone first to get permission to visit. In December 2010, Anton made an offer to purchase the property next door to Sedgemeer Park on Flamingo Street with the aim of extending the current facility by building some 10 new cottages. 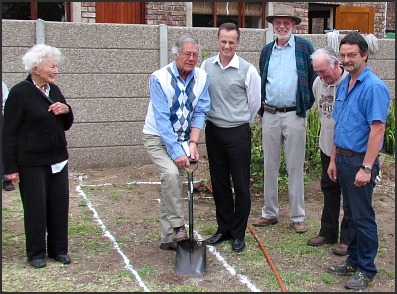 Sod-turning ceremony 26 September 2012 - 97 year old resident, Magriet watching Anton Kruger (Manager), Anton Jordaan (Attorney), Paul Engels and Nicholas Beech (Architects) and Danie Smit (Building Contractor) breaking the soil for the new development. Although it was anticipated that building would commence mid-2012 various unforeseen requirements extended the time-frame. An EIA (Environmental Impact Assessment) was begun on 21 April 2011 and approved 20th February 2012. Rezoning of the single residential stand applied for on 24 August 2011 and approved on 12 April 2012. Registration of the 1:100 floodline was necessary and a proposal was submitted for sewerage disposal. The consolidation of the two properties, the existing one and the new purchase was achieved on 6th September 2012. A site plan and design manual was submitted to the Municipality and approved on 12 September 2012 and the units plans were signed off and the new build given the go ahead on 19 September 2012. 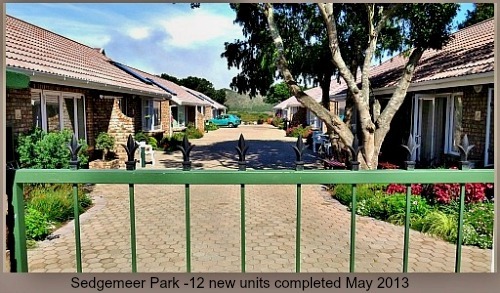 The 12 units were built in record time and by July 2013 even the gardens, paving, and gates were done and all the units were occupied by their eager new owners. By the end of 2015 a new era had begun for Sedgemeer. Anton and Rita Kruger who had been at the helm for many productive years moved to George to enjoy their long overdue retirement. Predictably this led to some profound changes at Sedgemeer as the home's expansion had brought with it added responsibilities and challenges. A new management team with designated portfolios to oversee all aspects of sound governance was established, some new committee members came on board to strengthen the existing team and the book-keeping that had been dragged kicking and screaming into the 21st century was fully computerised with payroll systems and stock controls working effectively under the scrupulous care of Ann Stambolie CA and steadfast monitoring of Heather Rietbroek. The aged electrical wiring affecting productivity in the kitchen and old house had been upgraded. 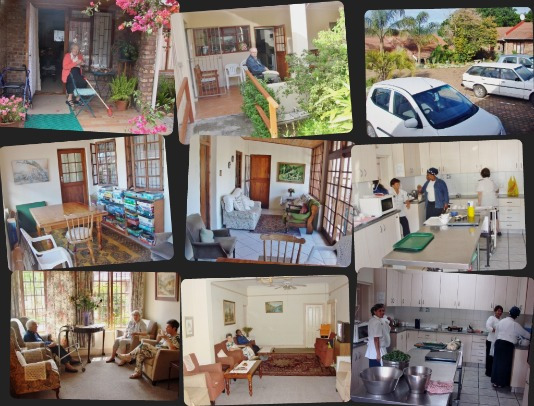 Marianne Van Santen the new Housekeeper and Kitchen Supervisor had won over the residents’ hearts with her delicious meals and gentle loving ways. Ken Crystal had resigned from the Executive Committee to take over the role of Manager from Anton. The foundations for the future of this one-of-a-kind retirement home is now well established so it is anticipated that Sedgemeer Park will go from strength to strength remaining a part of Sedgefield's caring community and fulfilling its role in providing a safe haven for needy elderly folks in their twilight years. Sedgemeer Park receives no government grants and has no fundraisers apart from its annual Carols by Candle-light evening at Christmas held at the United Church. As donations of any kind will be always be gratefully accepted. Please make contact as indicated below. Postal Address: P.O. Box 487, Sedgefield 6573. Anton Kruger's notes and Sedge News articles 1989-1993. Physical Address: Cnr Flamingo Road and Kingfisher Drive. To apply for residence please contact the office to obtain an application form. Once this has been completed and your requirements have been assessed, you will be given a number and go on a waiting list. You will updated regularly and contacted when there is availability. If you do not want to accept an opportunity to take up residence when there is a space for you, the next person on the list will be contacted. You will remain on the list and keep your position. This is the procedure until you are ready to accept a vacancy.